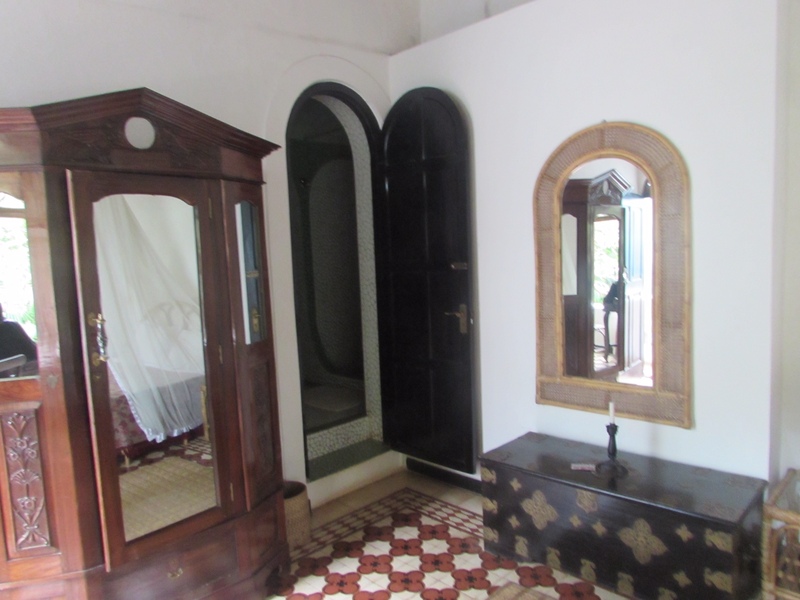 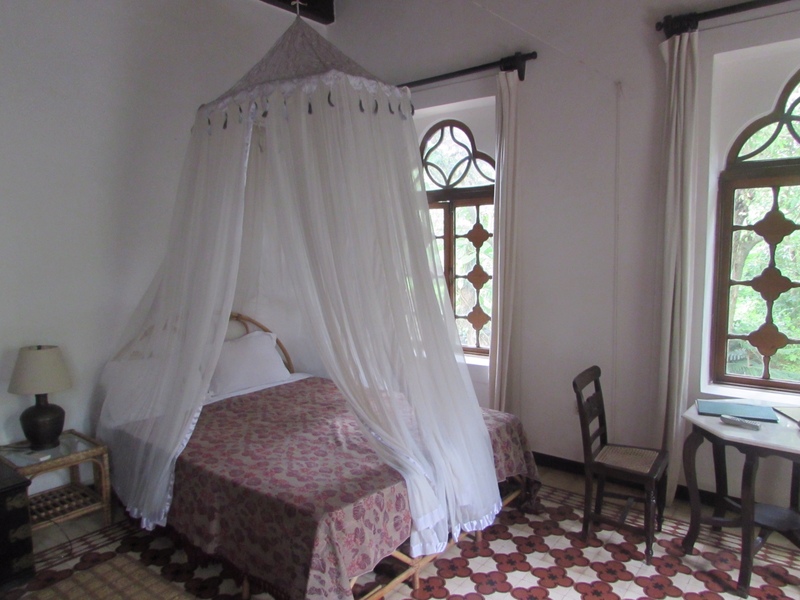 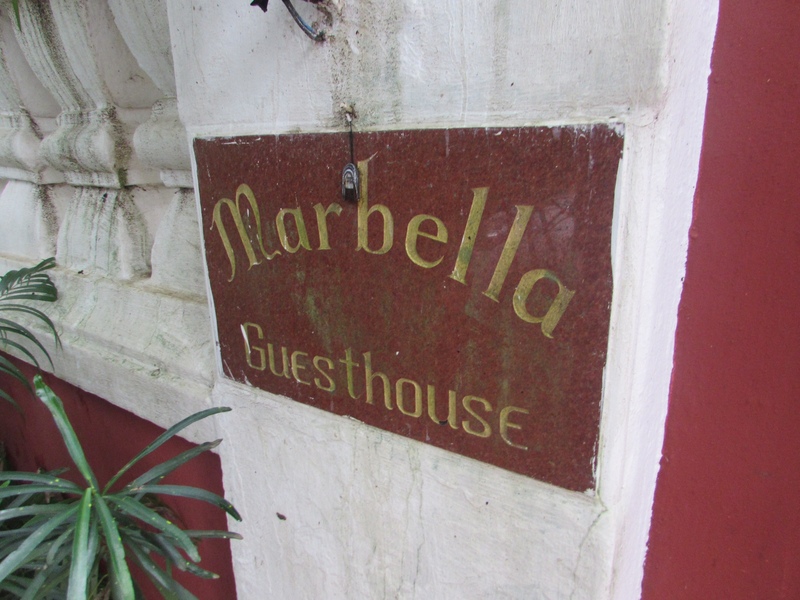 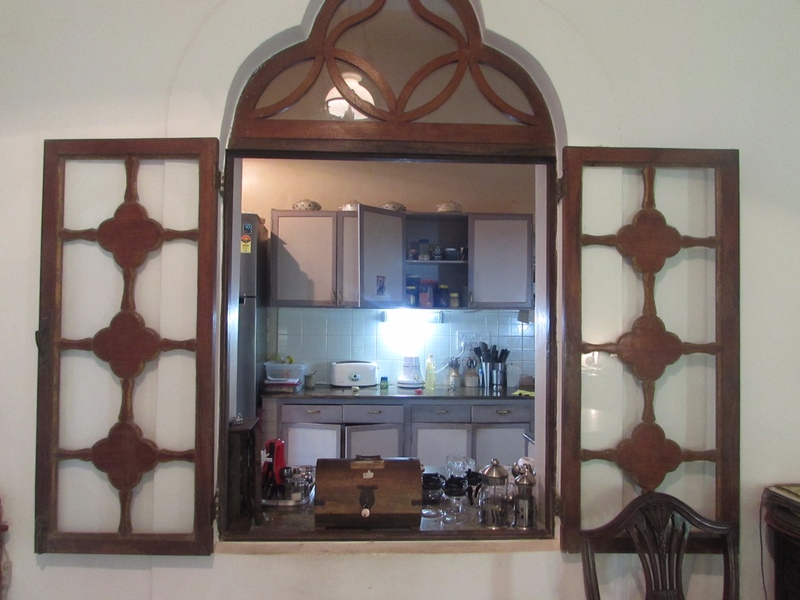 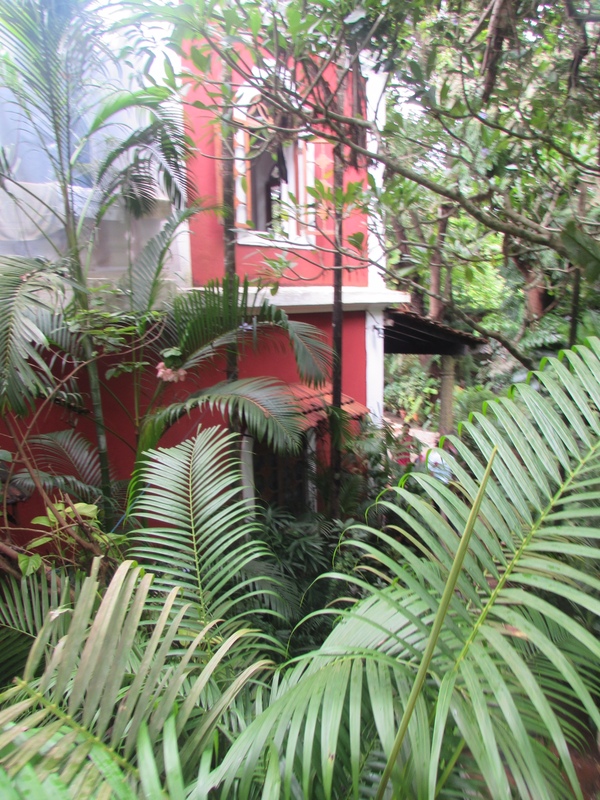 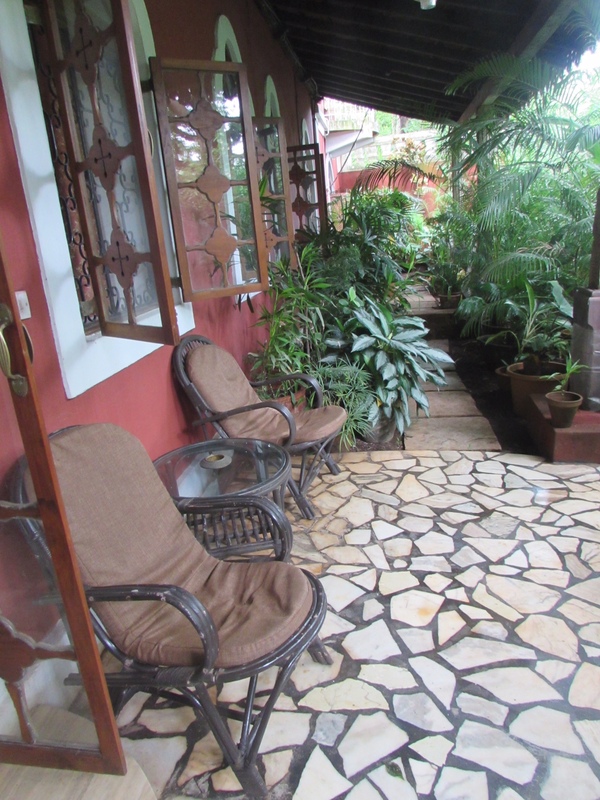 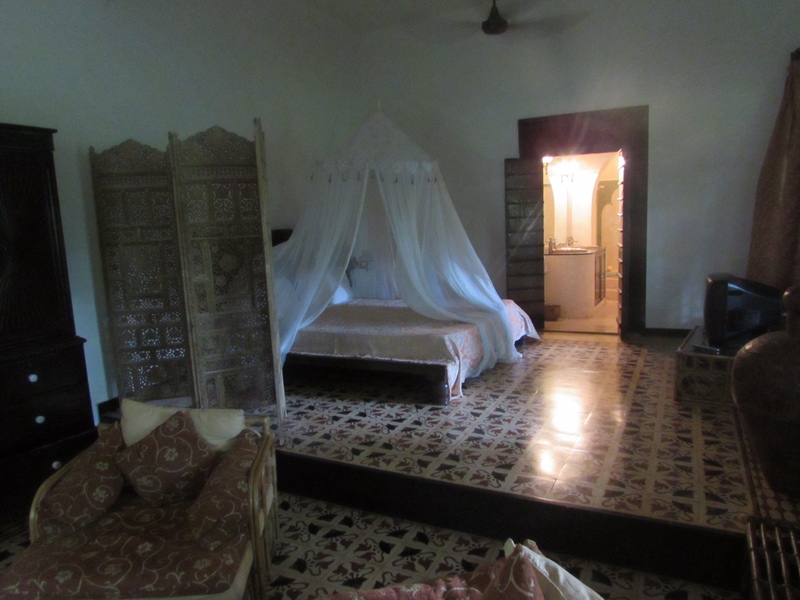 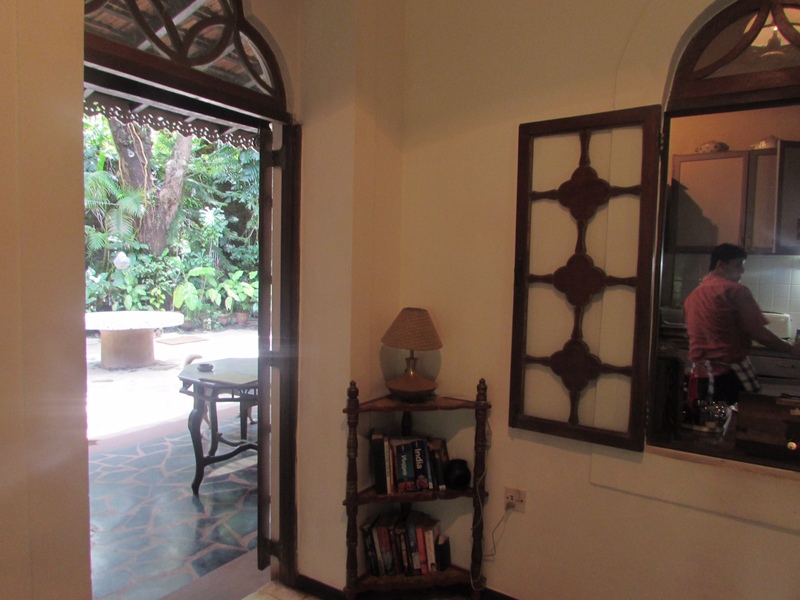 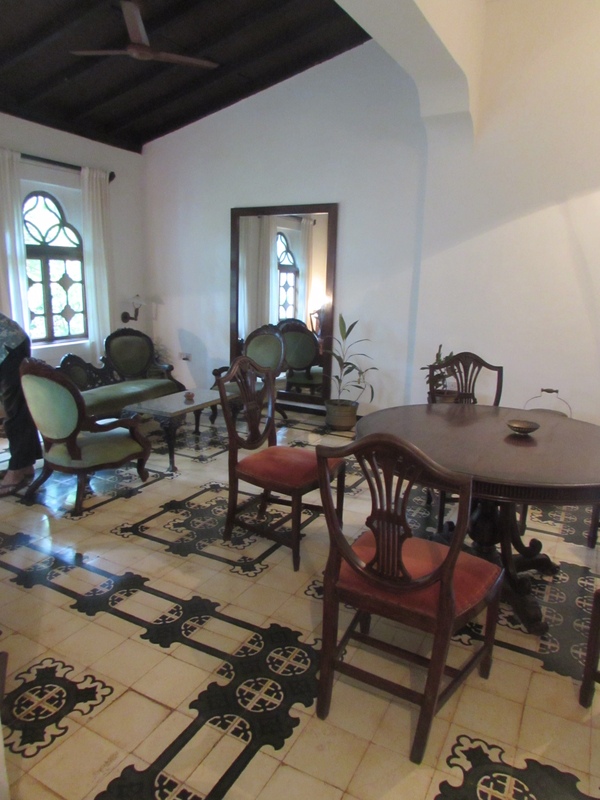 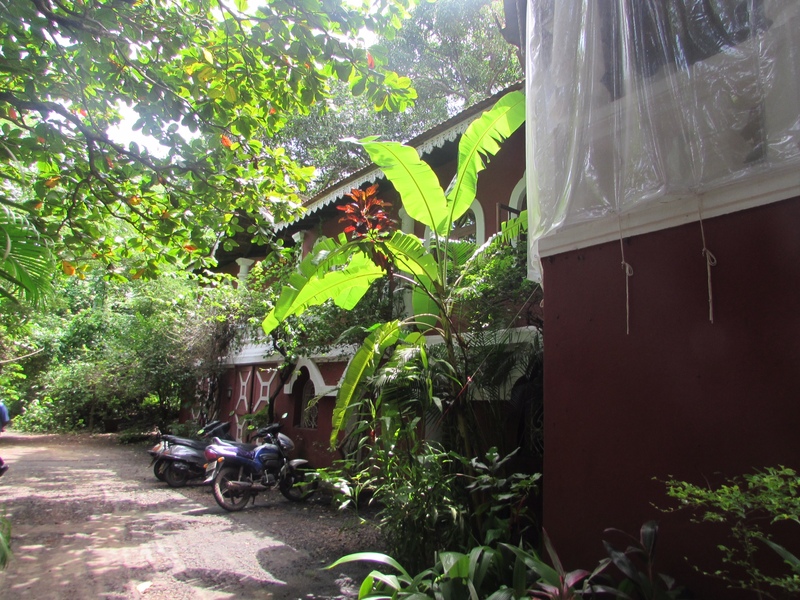 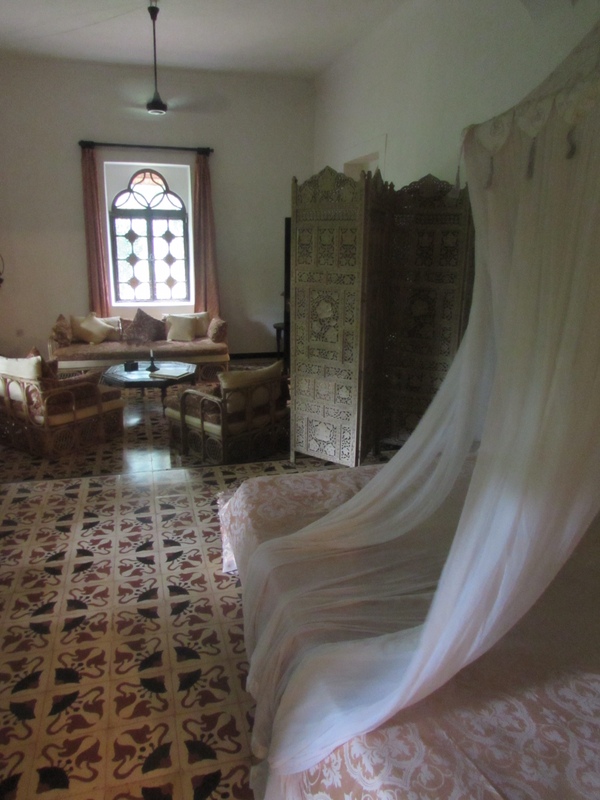 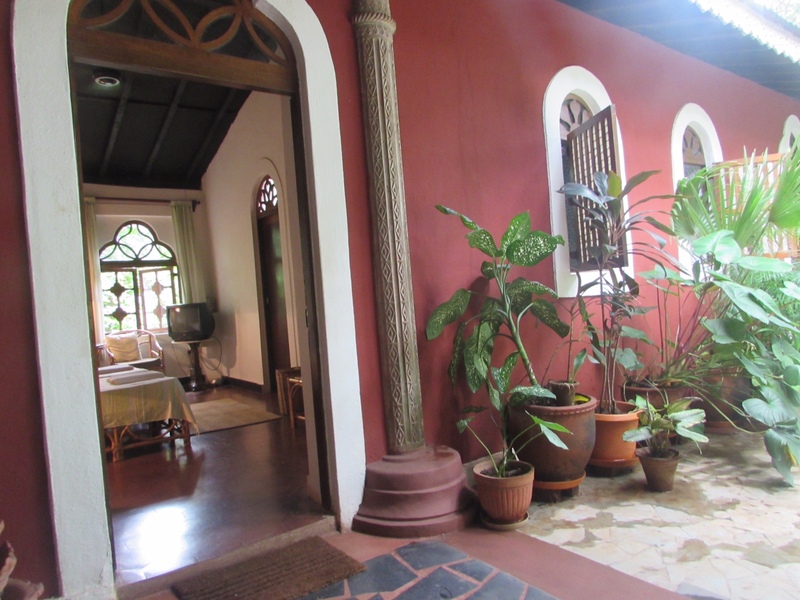 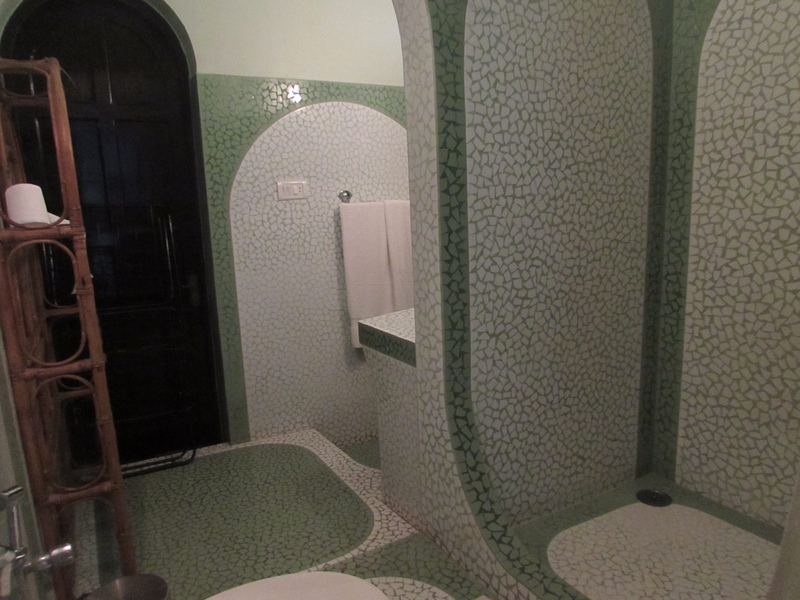 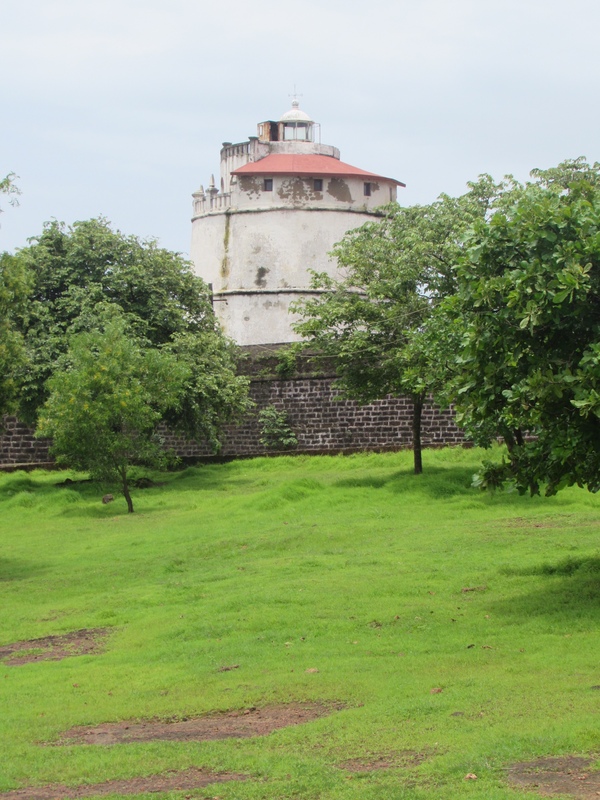 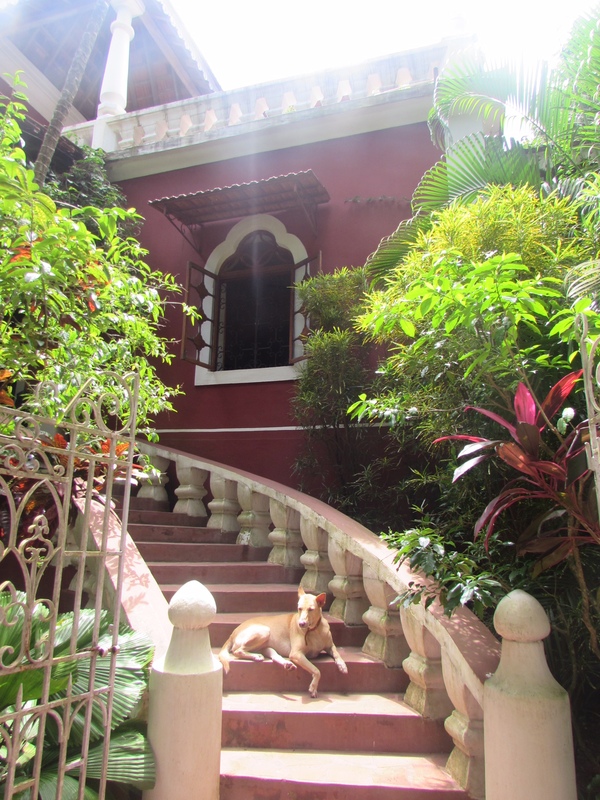 Marbella Guest House, located on a leafy, quiet street, is an ideal, great value spot for a stay in Candolim at the southern end of North Goa, close to the Mandovi River and Fort Aguada. 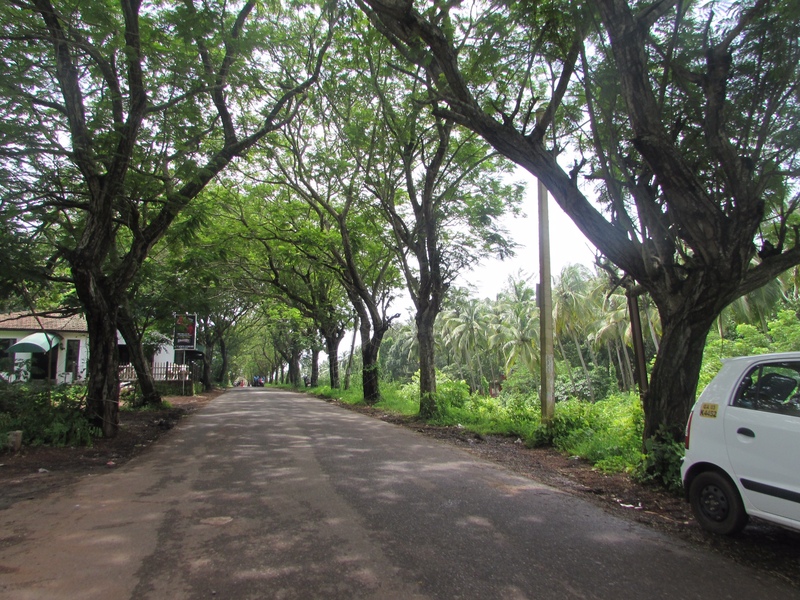 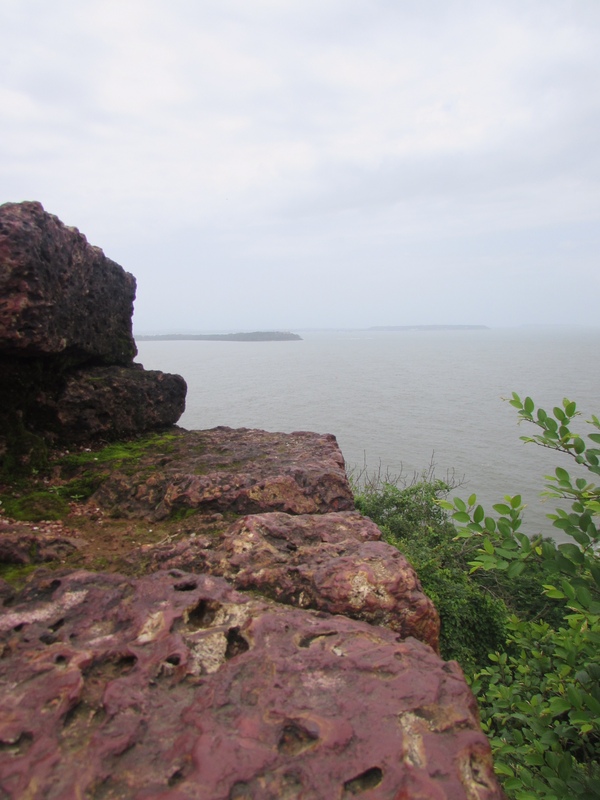 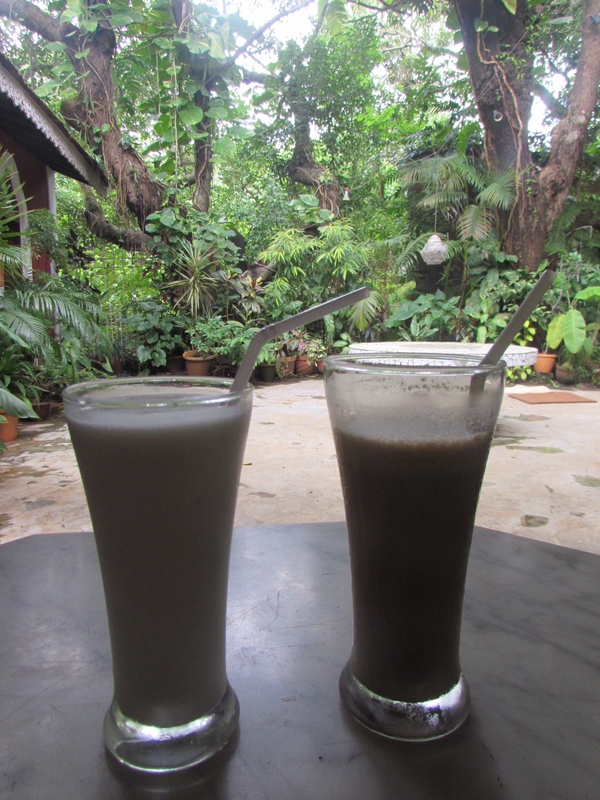 (Candolim is a much nicer area to stay in than Calangute or Baga, greener, quieter, with nicer restaurants and shops). 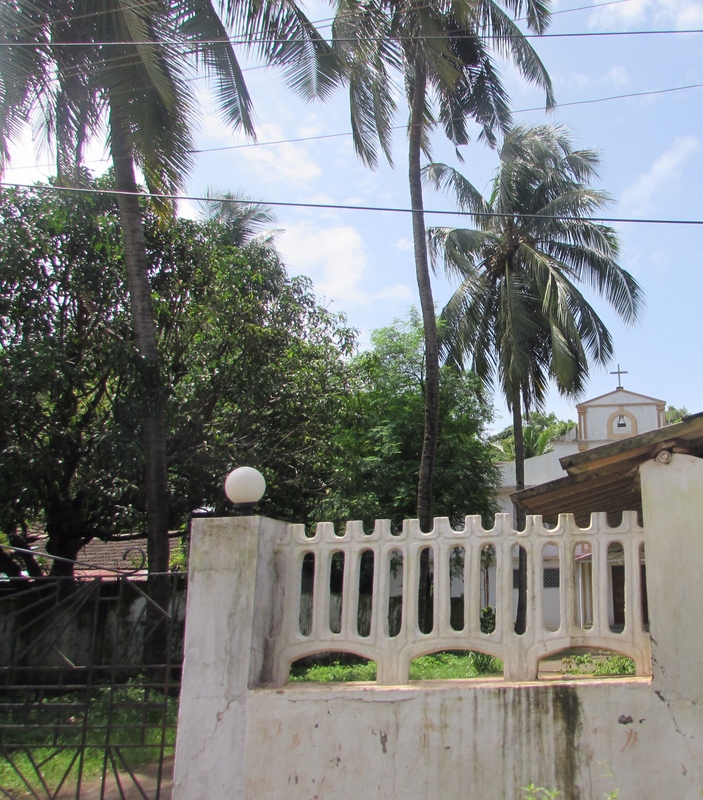 (Don’t miss Newton’s Supermarket for Goan specialities to take home). 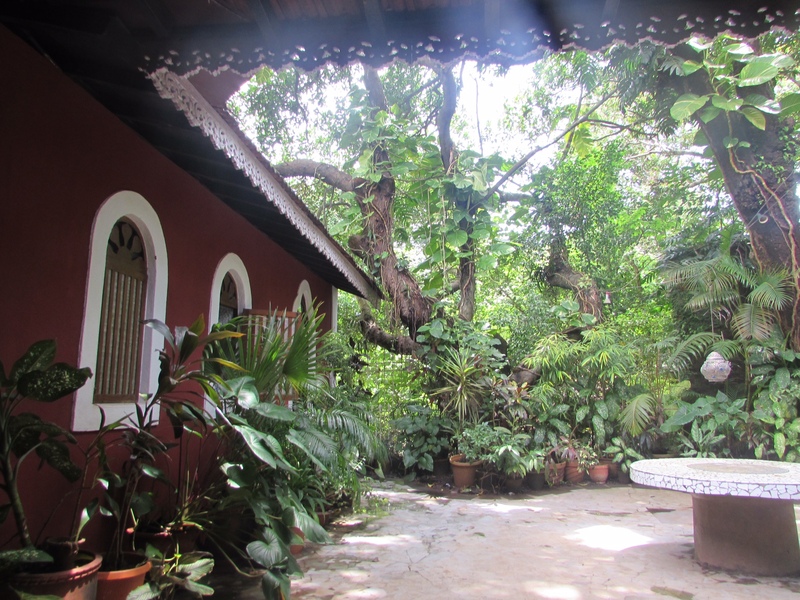 A pleasant restaurant, serving breakfast, lunch and dinner, is set around a lovely garden and serviced by an impeccably clean and efficient kitchen. 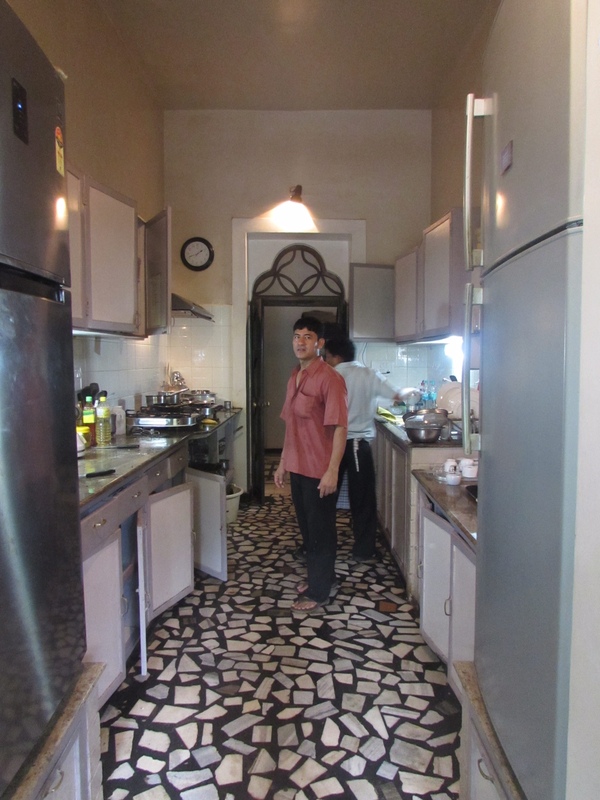 Guests can watch happy and friendly staff prepare their meals from fresh ingredients. 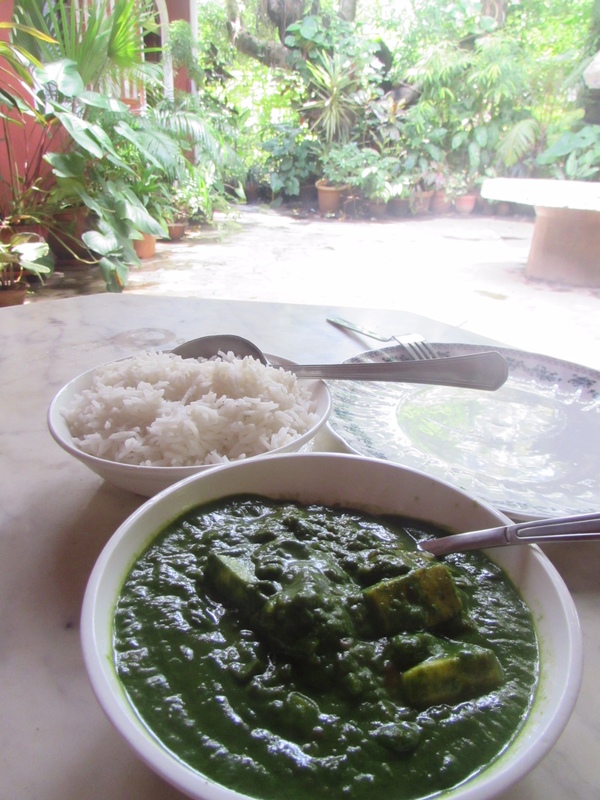 Banana lassi The freshest, greenest palak (spinach) paneer (cheese)! 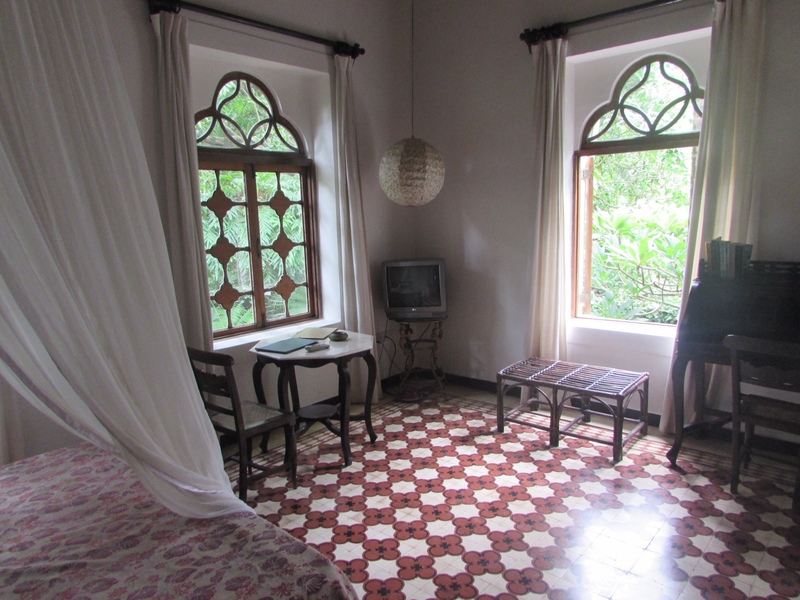 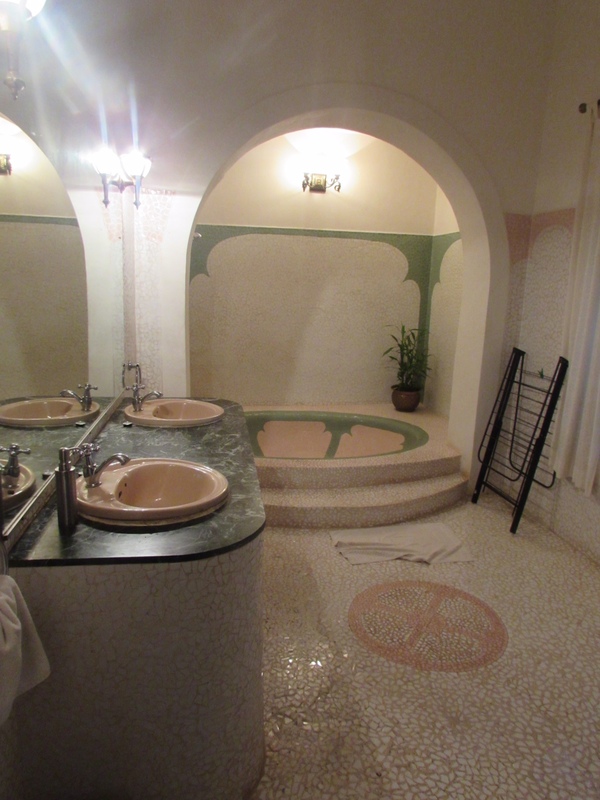 Tastefully decorated rooms are complimented by a comfortable sitting area. 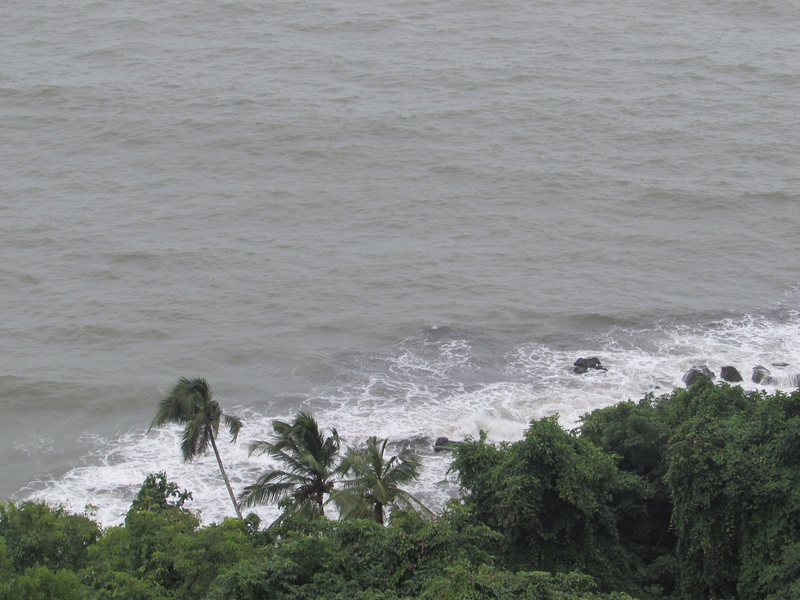 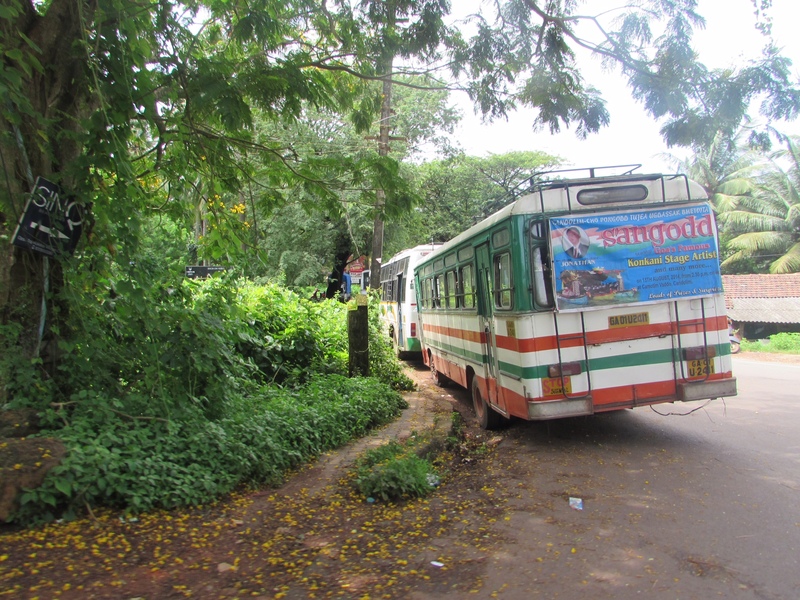 Look for the Bus Station and Taj Fort Aguada.